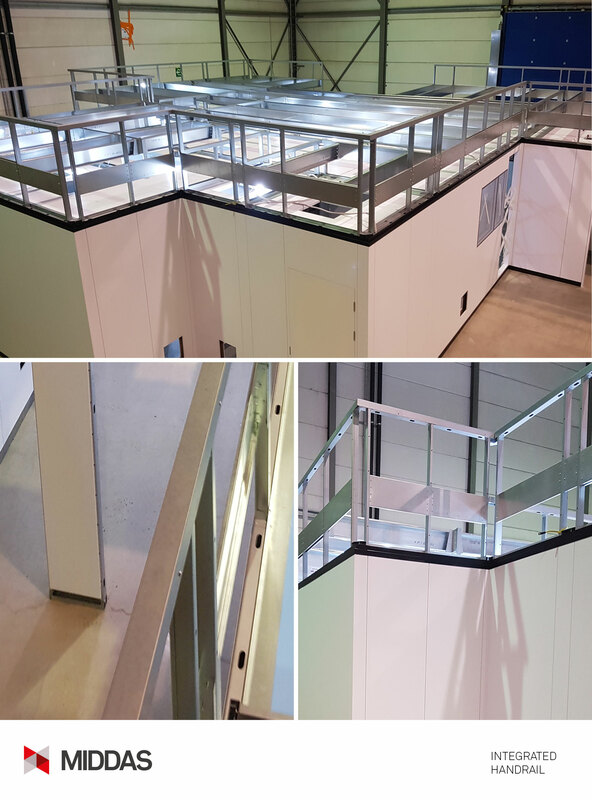 Having identified MIDDAS as a supplier of demountable fire rated partitions. 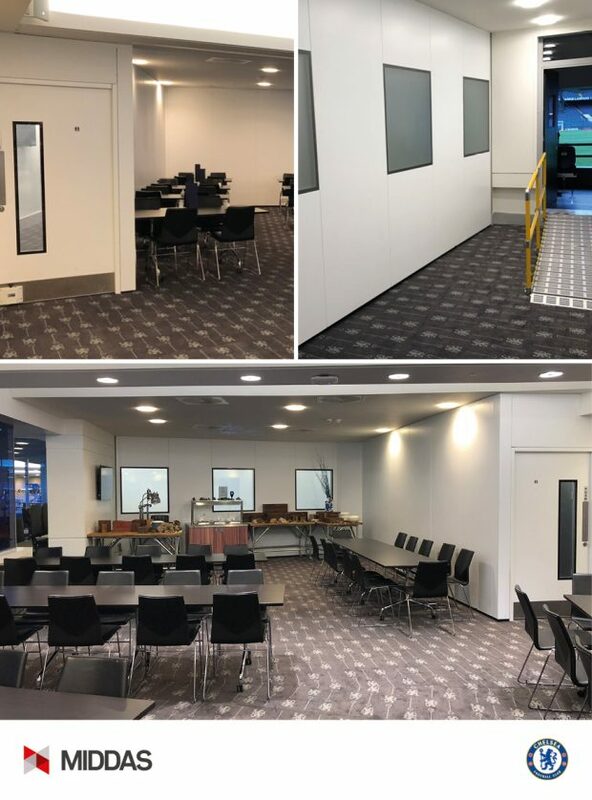 Chelsea FC are delighted with the end result designed, manufactured and installed by MIDDAS. Built in safety is often a glib statement but not at MIDDAS. Our integrated design approach ensures safety is designed in and not added as an afterthought. With any walk-on ceiling or work platform, edge protection is essential and is now an integral feature of the MIDDAS offering. No longer do you need to add secondary edge protection and worry about fixing details and interfacing with the walk-on structure. As a primary manufacturer MIDDAS offer a bespoke service where we design and manufacture products from the proven MIDDAS range and specials that are incorporated into 3rd party products and OEM equipment (Original Equipment Manufacturer). 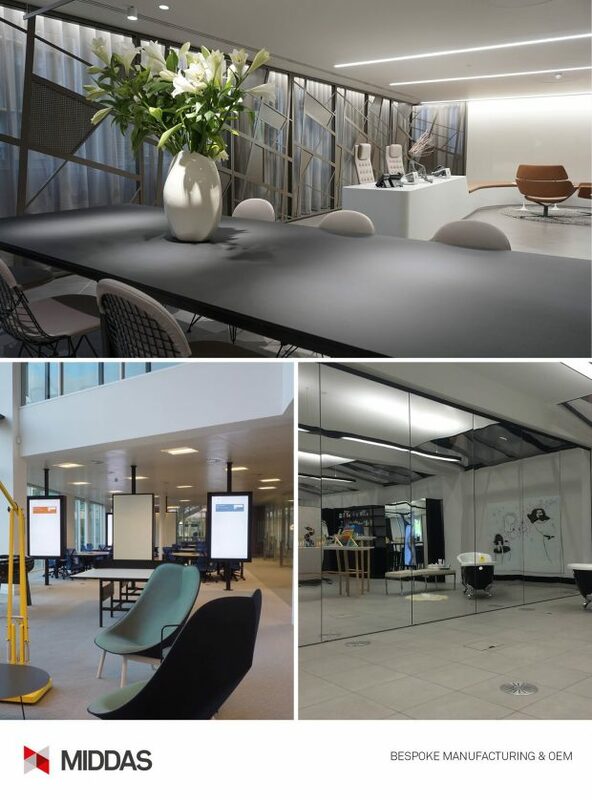 We are pleased to be associated with brand leading Healthcare, Cleanroom and Acoustic Enclosure providers plus interior fit out designers and contractors. 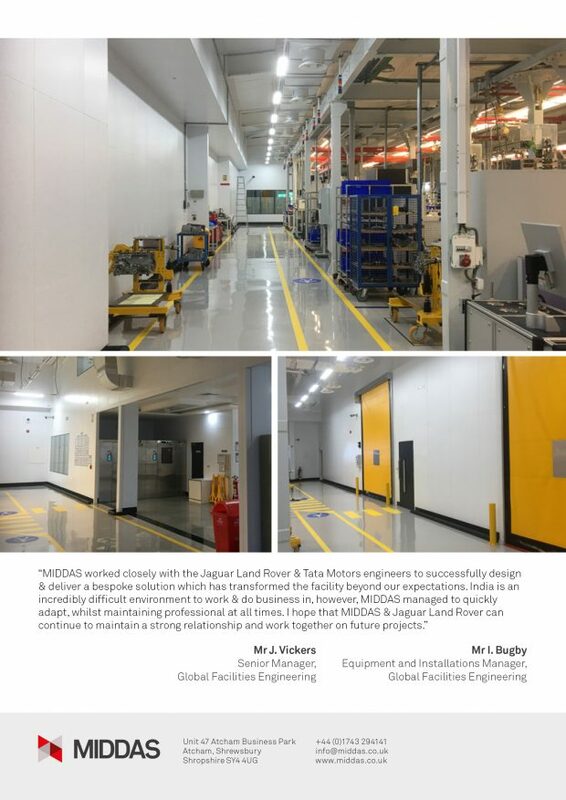 On the back on an excellent project in India for TATA Motors, MIDDAS are now exporting more and more projects to international regions. A key success factor is MIDDAS’ approach to modularisation which ensures all interfaces are factory prepared and the solution is simply installed from a-kit-of-parts, no construction just assembly on site. We are pleased to announce that Oliver Landau-Williams has joined the MIDDAS team to complement our existing capabilities and meet the increased growth of MIDDAS. 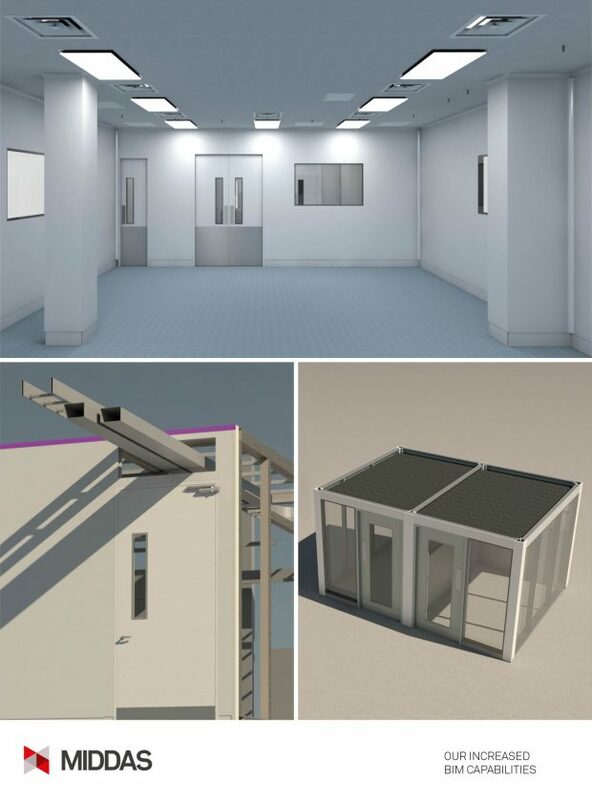 Oliver is already designing MIDDAS projects in BIM (Building Information Modelling), working closely with specialist equipment providers and M&E contractors to ensure fully coordinated designs.